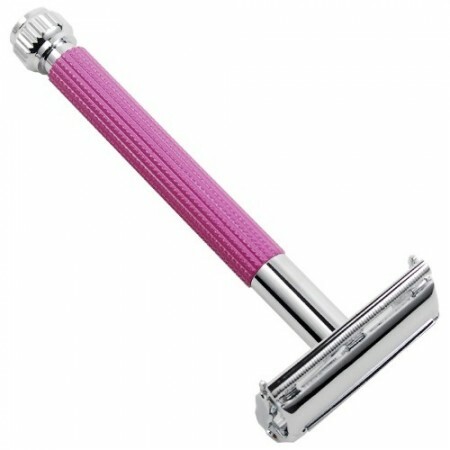 A double edge safety razor with a long textured handle for better grip when shaving in the shower with wet soapy hands. 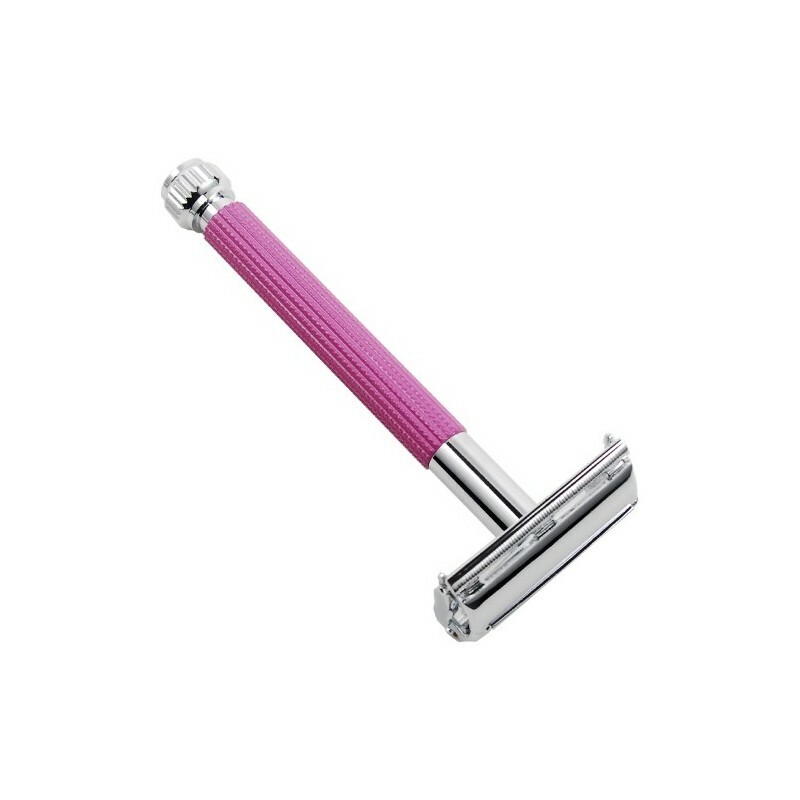 Lighter than regular safety razors for easier maneuverability with a lavender handle. Use the handle for life and replace only the blades. Purple colour. A reusable safety razor eliminates the need for disposable plastic shaving instruments, reducing landfil. Incredibly close and comfortable shave without aggressive or repeated pressure. Long thin grippy handle makes it easier for women to use in the shower. Men find its lighter weight can help make the razor more maneuverable around the face. Textured handle for grip on wet conditions. You can recycle your blunt blades - store them in a tin or metal container for safety and once it's filled, seal container and contact your local council for the location of your nearest recycling facility. For longevity store razor outside of the shower and ensure each part is dry between uses to prevent rusting. 10.5cm x 4cm. Genuine brass frame, lavender anodized and chrome plated. Parker is a family owned and operated business. Parker has advised us that the company does not employ anyone below the age of 20, even for unskilled work. Most of its employees have worked with Parker for more than 10 years, and some more than 20 years. According to Parker, its employees are paid well, as per the norms of the industry and government regulations. Browse our other other shaving products. Happy with my purchase. Provides a good shave on all areas! You do need to go a little slower than a plastic one but otherwise very good! This is my first (and hopefully only!) safety razor, so far so good! It should also be noted that the razor does not include blades, they have to be purchased separately.